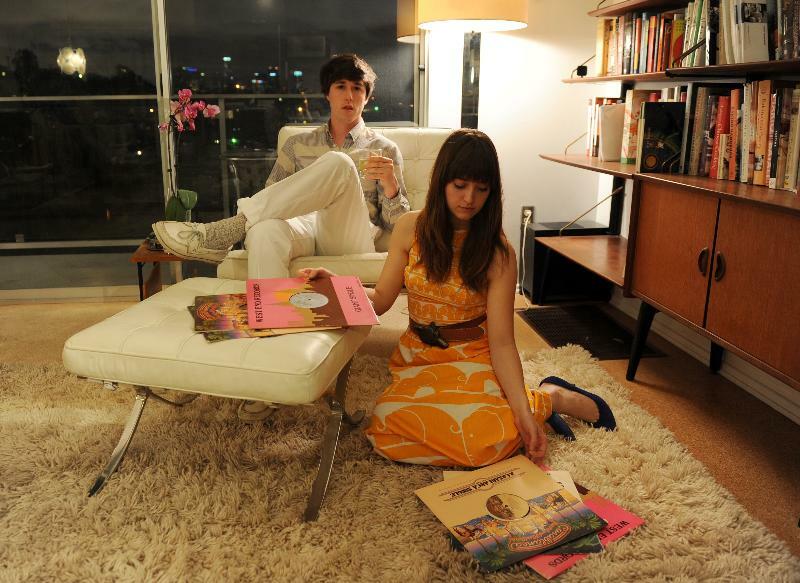 KISSES is a Los-Angeles based disco project featuring Jesse Kivel and Zinzi Edmundson. Though primarily inspired by long-format, instrumental disco (Cerrone, Gino Soccio) KISSES has developed a uniquely concise songwriting style that is equal parts FM radio pop and expansive four-to-the-floor. Early in life, Kivel developed a friendship with venerated cult disco producer Alec R. Costandinos, who rose to prominence in the late 1970s on a wave of ambitious concept albums and club singles. As Costandinos made available his knowledge and a healthy vinyl collection, the seeds for the KISSES album were sewn -- the KISSES name chosen as a nod to Costandinos' erstwhile 'Love & Kisses' project. As this creative relationship blossomed, Jesse took a day job as a travel writer to help make ends meet. His editors asked him to review hundreds of exotic hotels and resorts, many of which he had never seen or heard of before. The imagery used to write these reviews wove itself through the lyrics of songs like 'Bermuda' and 'Women of the Club', as well as the overall sound of The Heart of the Nightlife. The modern-day resurgence of Costandinos' music, notably sampled on The Avalanches classic 2001 LP Since I Left You, allowed for an easy synthesis between current dance music trends (Lidstrom, Air France) and the panoramic ambitions of disco's commercial golden age. Nine songs were composed for the project, each exhibiting a refined pop sensibility evocative of Arthur Russell's later-period romantic works. There is a subconscious embrace of simple emotions and sentimentality on this record. It is a minimalist approach to pop music that revels in the celebratory moments of life, those fragments of time that we only remember in postcards or faint recollections. The Heart of the Nightlife takes these elusive moments and celebrates them openly, without fear of scorn. Kisses will release their first single, Bermuda, on April 27th. It features the single and a remix by rising LA artist, Active Child. Future plans include DJ sets, SXSW parties, a full-length, and much more.